When nobody’s lookin’ for truth in the youth? Today is a day to celebrate Malala Yousafzai’s 16th birthday and the courage she represents. As an article in the July 12, 2013, New York Times points out, however, the struggle among girls in Taliban-controlled sections of Pakistan continue unabated. And the situation indeed looks grim. What kind of government would deem it proper to deny any child the right to an education, just because that child happens to be female? The right of the child to discover, to fly, to dream, to imagine, and more… these are the very foundation of the UN Declaration of the Rights of the Child. Anything less is against the dignity of children and all the people associated with them. The Taliban does not represent the interests of the people, of humanity, or the Muslim faith, which would never condone such actions. (I know several female scholars and leaders of the Muslim faith.) It’s a day of celebration. It’s also a day of mourning, when children do not go to school because they fear for their safety – not just the taunts of bullies, but their very survival. It is also a day to recognize the many heroes, otherwise ordinary people, who are defying the decrees of the Taliban. By doing so, they stand for the dignity of the children of Pakistan and children the world over. 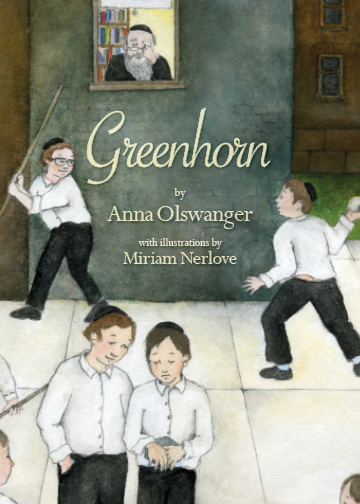 My colleague’s book, Greenhorn, is being made into a film! I was fortunate to locate a copy of this extremely rare book; it is among my most prized possessions. My colleague Robert Oppenheimer, from the Janusz Korczak Association of Canada has made the complete text of this most important work available online. Back in 1967, a University of California, Berkeley, professor named Martin Wolins realized this gap and arranged for this translation of Wybor Pism by Jerzy Bachrach. Included is a translated introduction by Igor Newerly, who worked with Korczak for many years. It is interesting to note that while other volumes on Korczak were published in 1978, on the centennial of his birth, this volume was issued on the 25th anniversary of his death at the hands of the Nazis. Unfortunately, this precious volume was printed in very limited numbers – colleagues of mine estimate about 500 to 600 copies, most of which are hidden in academic libraries. Therefore, I count myself as extremely fortunate to have located a copy on eBay. As an admirer of Janusz Korczak, it is my plan to collaborate with two other scholars to make these works available again. 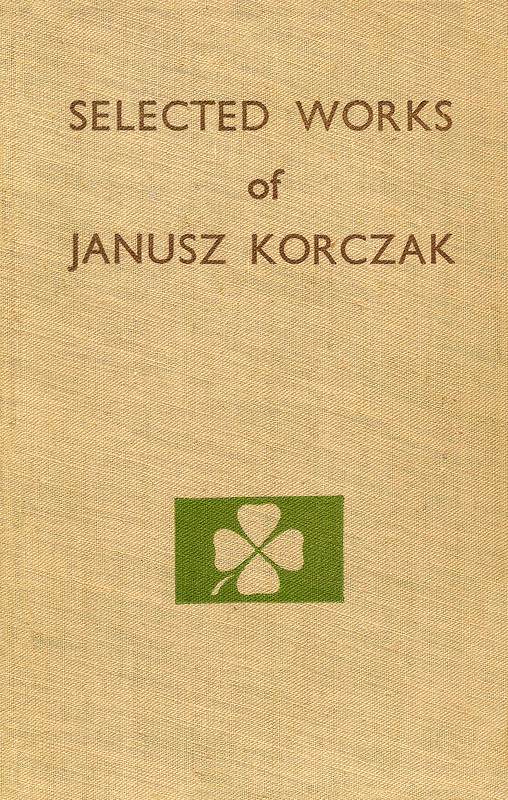 In “How to Love a Child,” Korczak gives his best description of his pedagogical practices at his orphanage in Warsaw, including his famous Children’s Court, a system of peer review of infractions by children and staff that included ways for the offender to repair damage to the community. He also discusses his equally famous Summer Camps, which enabled inner-city children to experience the wonder of nature in a cooperative setting. In this work, as well as in “The Child’s Right” to Respect, Janusz Korczak discusses the importance of seeing everything from the perspective of the child, to listen to the child and respect him as a human being, not merely as a future adult. More than bronze statues, commemorative stamps, and medallions, Korczak’s writings are the foremost monument to this great and gentle man. For the Sake of the Children, Let Us Not Neglect the Humanities! No, I am not talking about stem-cell research; rather, I am referring to that hackneyed acronym, STEM. That is, “Science, Technology, Engineering, and Mathematics.” All these are worthy fields. Yet, when I look at this list, is not something terribly important missing? Art? History? Literature? Philosophy? Finally, for a perspective from the UK, a colleague of mine suggested this, an older article, which also provides sources for further reading: https://www.oxfordtoday.ox.ac.uk/humanities How many of us are able to identify the buildings of ancient Athens to which the article refers? Dr. Korczak believed that each of his orphans should take with him (or her) the sense of humanity and ethics when he (or she) embarks upon the world. From the writings of Itzhak Belfer, Igor Newerly, and others, the Old Doctor certainly succeeded.